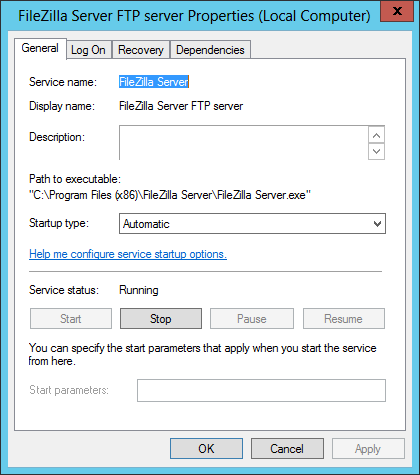 Automatically restart the FileZilla FTP server if it crashes or stops for any reason. 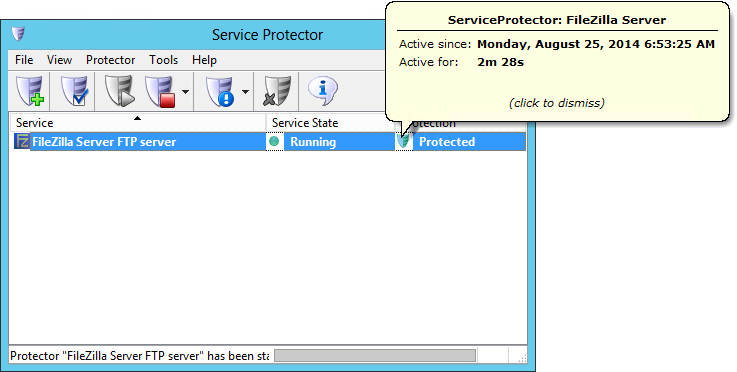 Ensure 100% uptime for your FTP solution! 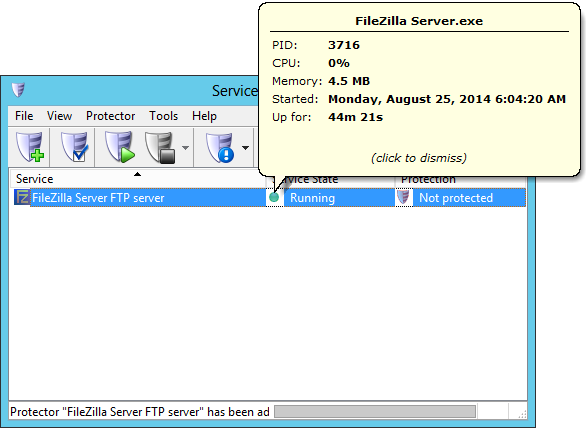 Download install, and configure FileZilla server, if necessary. That's it! 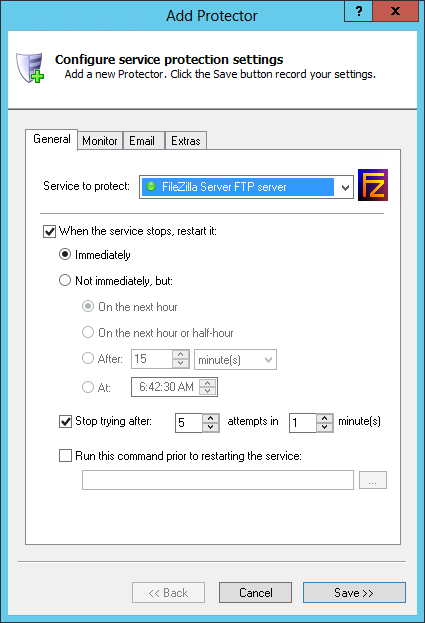 Next time your computer boots, the FileZilla server will start automatically and Service Protector will constantly watch the service to quickly and automatically restart it if it stops for any reason. 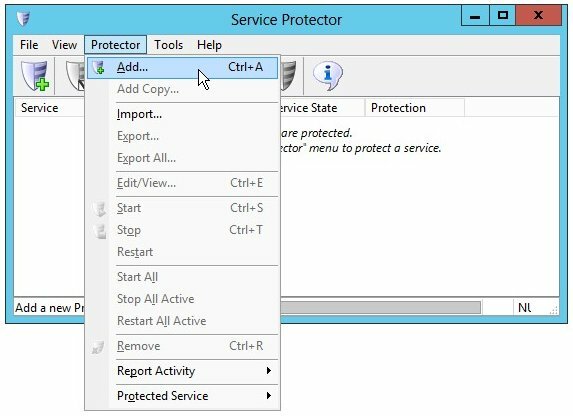 We encourage you to edit FileZilla in Service Protector and check out the many other settings that may be appropriate for your environment. For example, send an email when the service stops, terminate the service if it gets "stuck" stopping, restart when the server is using too much memory, and much more. 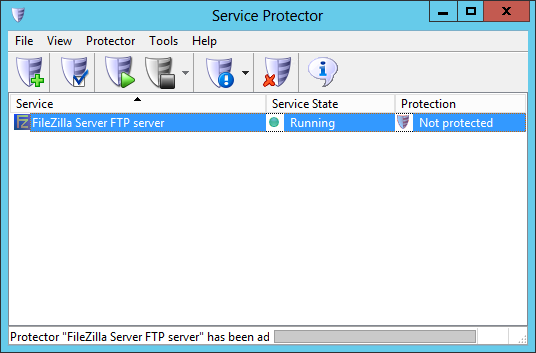 Trouble protecting the FileZilla Windows Service?